It’s not hard to see how Iceland got its nickname. The ‘Land of Ice and Fire’ is home to glaciers and fleeting ice caves, spurting geysers and lava fields. Waterfalls tumble over jagged rock, and mountains keep watch over pocket-sized fishing villages…. The post Iceland Backpacker Guide appeared first on Hostelworld Blog. 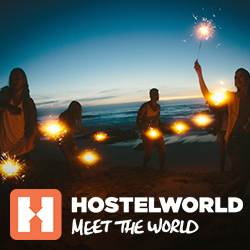 The post The best 8 hostels in Iceland appeared first on Hostelworld Blog.